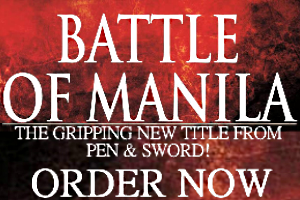 One of the largest militaries in the ASEAN has reason to be optimistic about its future. The Defense and Security arms show held in Bangkok this week served as a convenient venue for advertising the Thai military’s ambitious plans. While entire pavilions were commandeered by some countries in the course of the event, the local defense manufacturing sector had ample space to shine. It’s now apparent Thailand’s defense ministry is committed to a road map for not just modernizing, but rebuilding the entire armed forces. Although importing weapons remains a critical part of the military’s force structure, there are now tangible programs for sourcing production to local firms. A rare sighting at Defense and Security was a new wheeled vehicle dubbed the “AAPC” or “Amphibious Armored Personnel Carrier.” On closer inspection it looked like a variant of the Terrex 3 from Singapore using the same unmanned turret armed with a 30mm cannon. This means the vehicle, presumably called “Naga” after a mythical serpent, is the latest attempt by the Defense Technology Institute (DTI) to revive a prototype it unveiled years ago. The new amphibious APC on display at Defense and Security from November 6 to 9. This Terrex 3 variant comes with a retracting trim vane for water crossings and is being readied for use with the Thai marines. It’s unclear how many are going to be assembled or when it’s entering service, but the marines do need a better fighting vehicle than their aging AAV-7’s and a few BTR’s from Ukraine. The Royal Thai Army, on the other hand, seems content with its BTR-3E1’s that partially replaced its multitude of half century old Chinese and US tracked APCs. 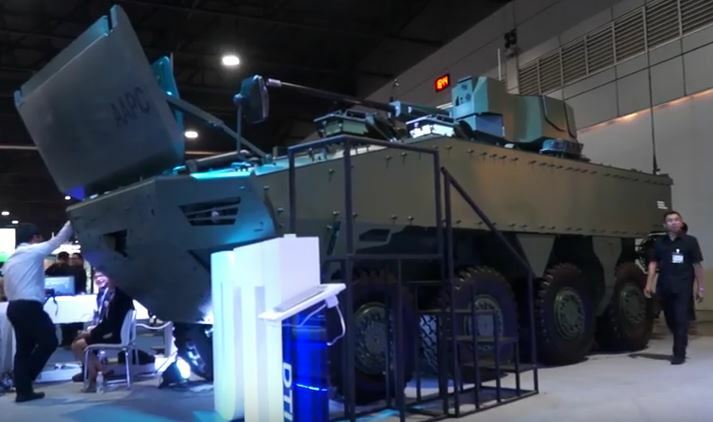 A modular wheeled IFV shouldn’t be too difficult a benchmark for Thailand. Domestic vehicle manufacturing has done well this decade and the best example is the local firm called Chaiseri Defense who exhibited its portfolio of armored trucks for law enforcement and military use. Chaiseri’s modest success with its First Win, which is assembled under license in neighboring Malaysia, is proof that Southeast Asian countries may soon collaborate for collective security purposes. An upcoming breakthrough for Thai industry is the advent of a truck mounted howitzer. According to the defense ministry a 6×6 Tatra truck will serve as the basis for a mobile 155mm artillery system. The main armament, of course, comes from a trusted supplier of the Thai military–Israel’s Elbit Systems. China’s new rocket launcher during tests in 2016. Another partnership between Israel and Thailand shown at Defense and Security is a mobile mortar carrier. This time a small 4×4 truck is used to support a 120mm mortar on a pivoting base. Other vehicle-based innovations include the successful prototyping of 4x4s for logistical use. A genuine curiosity was a jeep equipped with a water jet for navigating across rivers. Less eyebrow raising was an unarmored SUV that looks like something the command post’s staff would drive around in. Thailand’s aerospace sector is making steady progress as well. Seen at Defense and Security were examples of light drones such as a twin-boom UAV called “Tigershark II.” This model represents the largest ever assembled by the DTI, who can manage hand launched UAVs and quadcopters. If Thailand does pursue a serious drone building program it has the benefit of very low hurdles. As countries like Azerbaijan, Pakistan, and Turkmenistan have learned, these assets can be accessed either with Chinese help or through close collaboration with Israel. What didn’t receive enough attention at the Defense and Security arms show was Thailand’s impressive range of locally made ordnance. Small arms ammunition, grenades, mortars, rocket artillery, and 105mm tank shells are wel within the competence of state-owned enterprises. 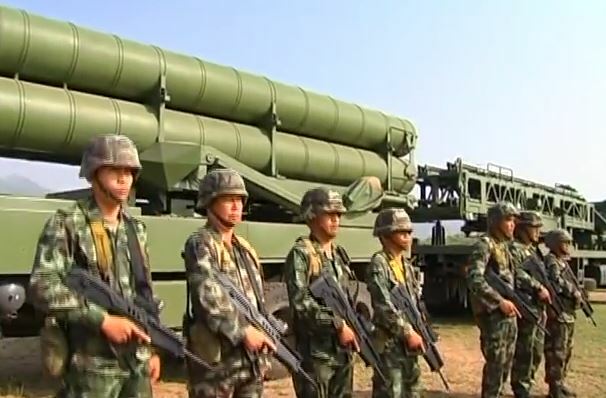 But one of the most important programs undertaken by the DTI is learning to assemble China’s lethal 300mm rockets for its DTI-1 and DTI-1G experimental weapons. Testing the DTI-1 in 2015. Thailand is still testing a rocket artillery system that can strike targets from 100 kilometers away. 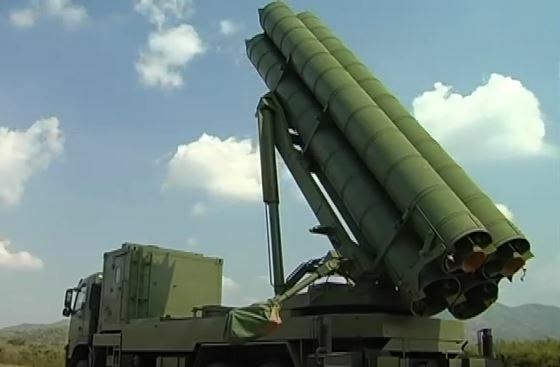 It’s similar to Turkey’s own T-300, which also shares Chinese ancestry. For Thailand to roll out a complete weapon system gives it a huge firepower advantage in ground warfare. The careful testing and promotion by the DTI for this program could hint at the groundwork for ballistic missile R&D in the long-term. The sum of these different efforts are no doubt under the Vision 2026 initiative that was launched in early 2017. It’s the clearest proof yet of the Thai military’s goal to preserve its reputation as a full-fledged fighting force. Not because it has malign intentions, but to meet the threats posed by the country’s geopolitics.